Round 1 of the WAFL season is back this Easter weekend as the mighty Tigers take on West Perth at HBF Arena. Last weekend with the AFL season already underway Claremont Football Club celebrated the success of three old Tigers who débuted in round 1: Bailey Banfield (Fremantle), Zac Langdon (GWS) and Jake Waterman (West Coast) which makes for an exciting year of legends in the making. At CFC the boys started their offseason program as soon as last season ended. We completed a medical and biomechanical screen for each player at our new Claremont clinic and identified any recent or niggling injuries and from this could set structured individual plans to best prepare for the pre-season period as a group. What I’ve seen over the years is that stronger, fitter and more efficient players are less likely to be injured and facilitates both individual and team success. We have the philosophy at Tigerland, led by head coach Darren Harris, of getting players not just fit to play, but fit to perform as they return from injury. 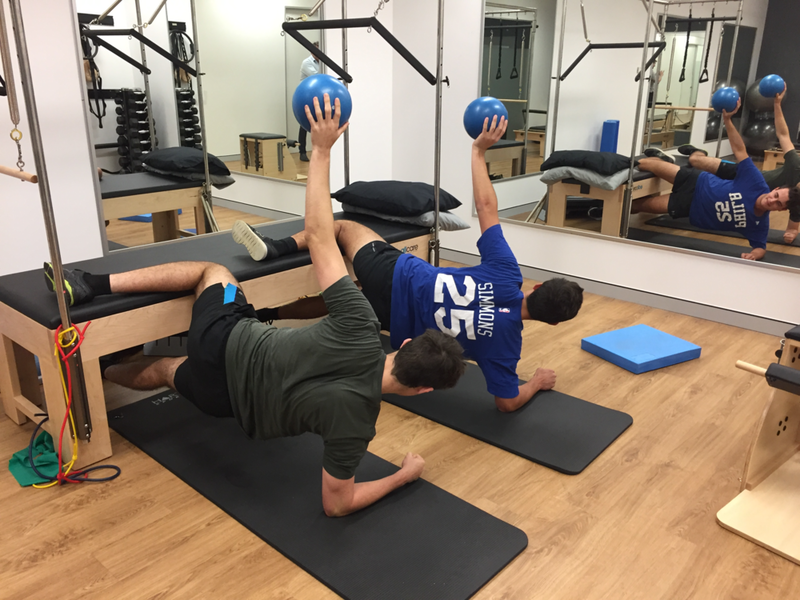 Players have also completed regular work in the Claremont Pilates studio with high-level gluteal, core and single leg control exercises focusing on running, cutting and landing mechanics. The pre-season is all about preparation, building a better athlete, setting good workout habits and culminates in frequent high workloads for a durable and resilient team. Research shows that consistent high training loads and those who do a pre-season are actually protected from injury. The rehab group has worked incredibly hard, improved their fitness levels, and successfully got back into training to work on their craft. After a sensational pre-season in our new state of the art facility we’re well and truly ready for Round 1 and excited to see some of the magic our team this year can produce. Daniel offers full musculoskeletal screenings as well as thorough strength and rehabilitation programs specifically designed for you.